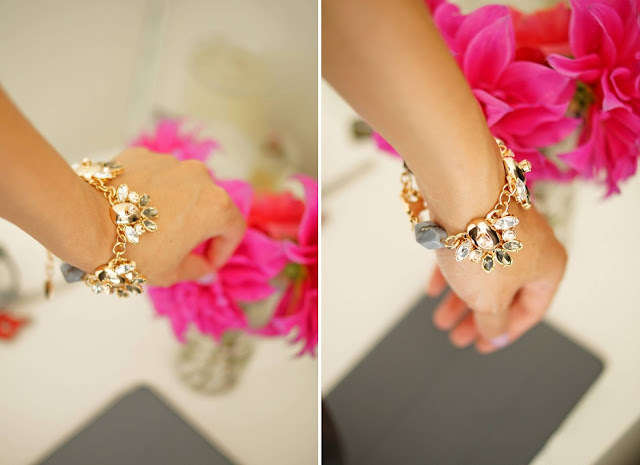 For my wedding, I dabbled in a bit of DIY to arm my wrist with as much sparkle as elegantly possible, remember this post here? Decadent jewellery is always something I've admired from the pages of Vogue, on the arms of royalty, on the arms of celebs on the red carpet and so forth. Nothing wrong with a bit of bling bling! The opulence is appealing, but the price tag, is of course, not so much. When it comes to shopping for bracelets and cuffs, I find it super hard to find anything that would fit my puny little wrists. Until I found this little number from Witchery. 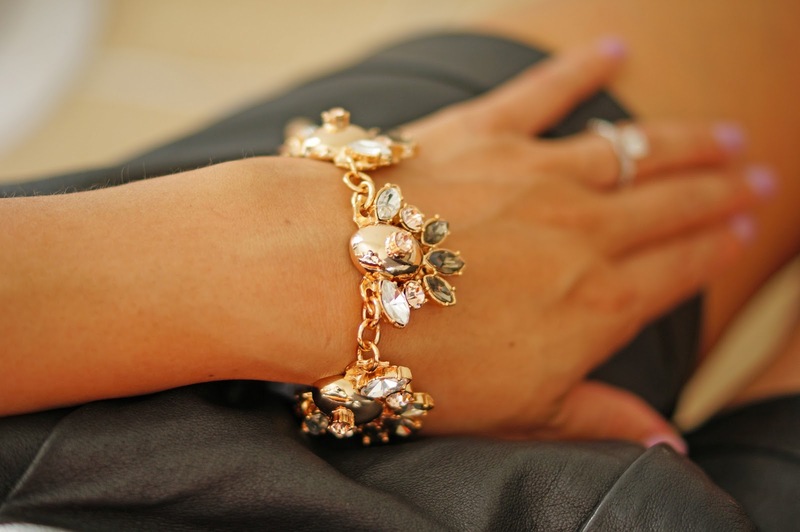 Just the right amount of sparkle, just the right amount of heavy metal, and fits my little girl sized wrists. Considering it's unique look, I thought this was a good buy for AUD 40 (it was on sale of course, but unfortunately not on the website any longer, similar feeling bejewelled bracelets and cuff beauties can be found here, here, here, here , here, and here OR take the splurgey route here and here)!